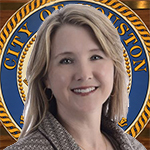 The Houston Information Technology Services (HITS) department provides enterprise IT services for the City of Houston. These services include voice and network, cyber-security, email and communication platforms and shared enterprise applications that are used by all City employees. HITS is comprised of five separate divisions that provide technical services and support. The Project Management Office, Enterprise Applications Services, Enterprise Infrastructure Services, Enterprise Cyber-Security and Radio Communication Services all provide a professional approach to providing our customers with innovative solutions all while keeping customer service at the forefront of what we do. HITS approaches all solutions by evaluating what the short and long term goals are of the customer and then seeks to find the most optimal solution. Our portfolio contains a hybrid approach with both cloud and on-premise solutions. Using a hybrid model allows us to offer solutions that are quickly and easily deployed and that keep costs in mind. And this fits into our overall goal of providing outstanding customer service with a level of responsiveness that keeps our customers coming back to us, in trust for their future needs. The Department's vision is to be an information and technology organization recognized for collaborative partnership, proactive leadership, strategic innovation, and quality of customer service.